We often took our visiting guests on a day trip to Brugge. Brugge is very popular among Americans as it’s been referred to as the Venice of the north (although I believe Amsterdam may deserve that title more). Nonetheless, Brugge has a lot of history and beauty to offer and is part of the reason why Belgium to me is such a hidden European gem. We only stayed one night here due to business so we stayed at the Crowne Plaza just in the heart of Bruges across from the Basilica of the Holy Blood. There’s also some historical significance in the basement of the hotel. You can ask the concierge for a tour. Rick Steves also mentions this hotel in his walking tour of Bruges. We had a dinner at De Stove and thought it was fantastic Flemish food. The owners were very nice and accommodating. For lunch, check out Brasserie Forestiere. 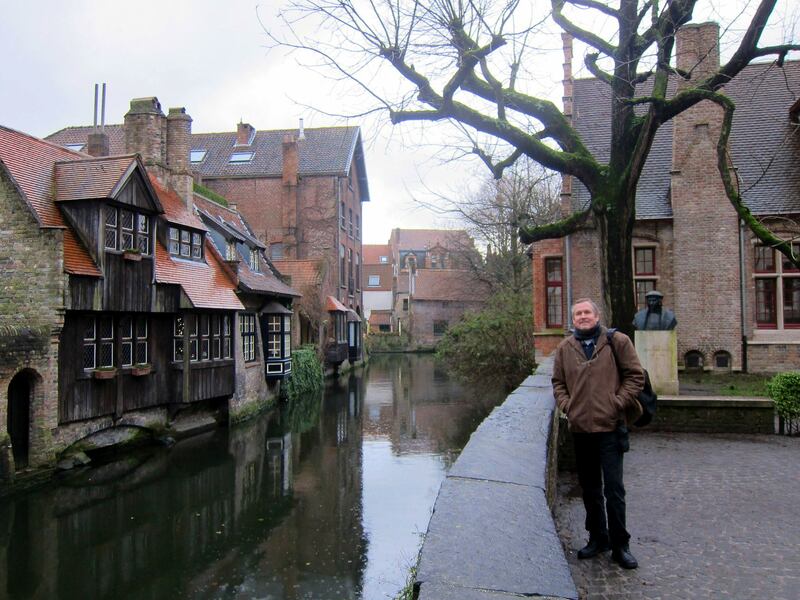 I highly recommend doing Rick Steve’s walking tour of Bruges. You get a lot of information and see all the best photo spots of Bruges on this walk and it’s not long at all. IF you don’t do a walking tour or boat tour, be sure to find yourself at Bonifaciusbrug, Gruuthuse, Jan Van Eyckplein, Huidenvettersplein, Rozenhoedkaai, Go up the Belfort, Groeninge Museum, and the Basilica of the Holy Blood for the Christian Relic. Drink a Brugge Zot beer…this Belgian style beer is not to be missed! No trip to Brugge lacked a trip to Kathe Wohlfahrt for all my wooden trinket Christmas needs! 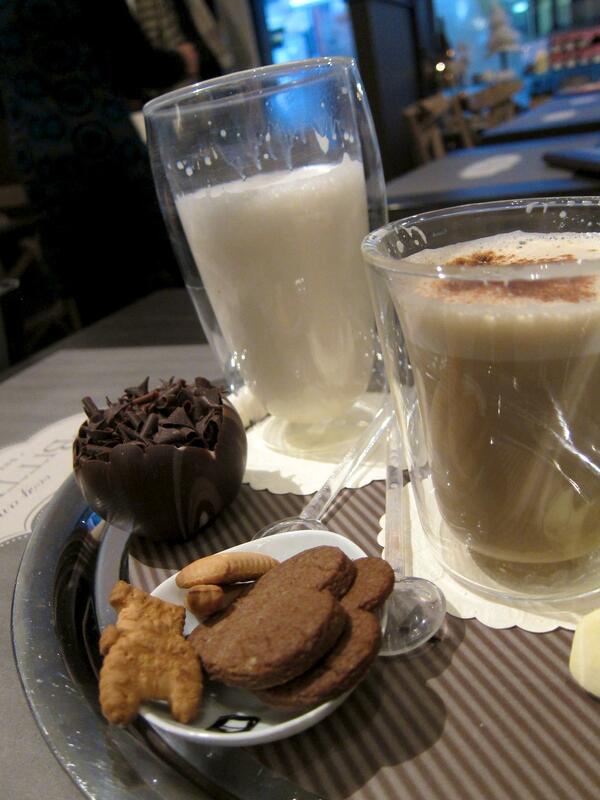 Located at Breidelstraat 4 just between the Basilica of the Holy Blood and the Belfort. 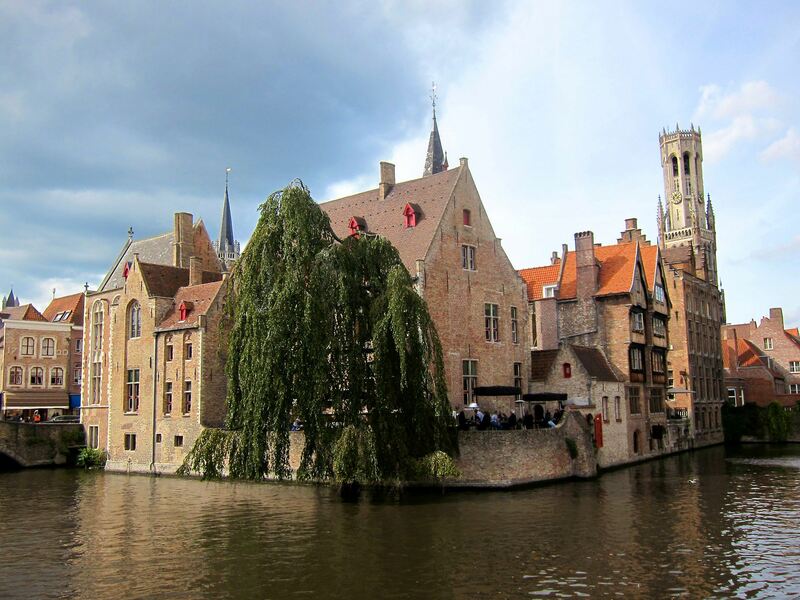 For your itinerary, consider doing half a day in Brugge and the afternoon in Ghent. If you have plenty of time, spend about a day in each. Any more time and you should consider heading up to the Belgian coast or to visit Westvleteren. This entry was posted in Belgium, Brugge, Uncategorized and tagged beer, Belgium, bittersweet, Bonifaciusbrug, Bruges, Brugge, brugge zot, canal tour, canals, chocolate, Europe, Kathe Wohlfahrt, rick steves, Rozenhoedkaai, tour, travel, westvleteren. Bookmark the permalink.